On 9 January 2010, one of the Directors of The Bashan Foundation, Prof. Zvi Hacohen, was appointed Rector of Ben-Gurion University of the Negev in Israel. Prof. Hacohen holds a B.Sc. and M.Sc. in Chemistry from Bar-Ilan University, completed his doctorate in organic chemistry at the Weizmann Institute of Science, and was a postdoctorate fellow at Harvard Medical School. Prof. Hacohen is a faculty member at Ben Gurion University. 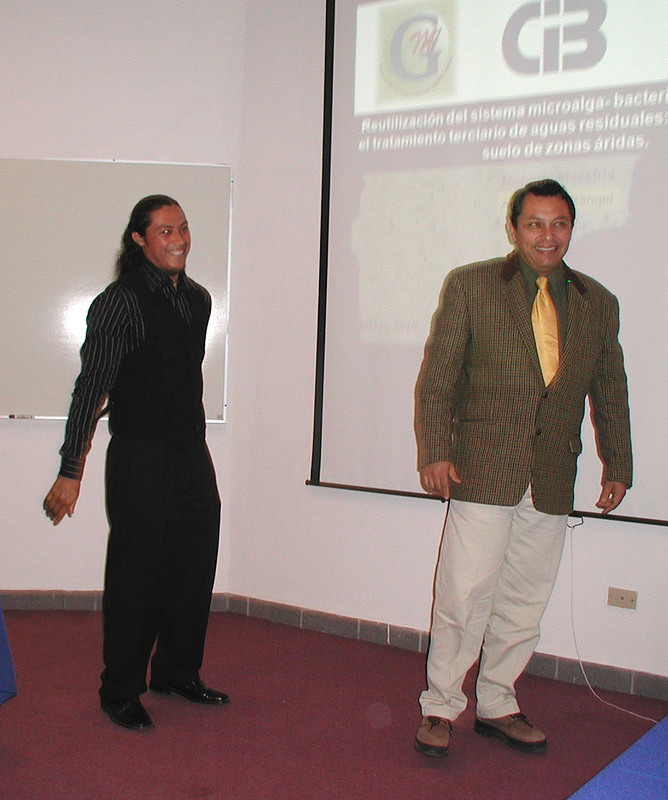 His main field of research is microalgal biotechnology, dealing with the potential of microalgae to create polyunsaturated fatty acids for pharmacological and dietary purposes. He is also involved with issue of biofuels. Dr. Hacohen has published dozens of scientific papers, has been awarded research grants totaling several million dollars, and has many patents. He has edited three books, the latest is Single Cell Oils. He also serves as chairman of the Israeli Senior Lecturers Union. On 15 April 2010, The Bashan Foundation had donated (downloaded) to the public one million PDF versions of research articles created and donated to the foundation by our members. The largest proportion was sent to researchers and students from less developed countries. Some articles were downloaded over seventeen thousand times, each. Figures in parentheses refer to the 7-day period ending 15 April 2010 at 12:19 AM. The formal public presentation of the thesis to the committee, accompanied by an almost fully-packed house of staff at CIBNOR and the local graduate students.. 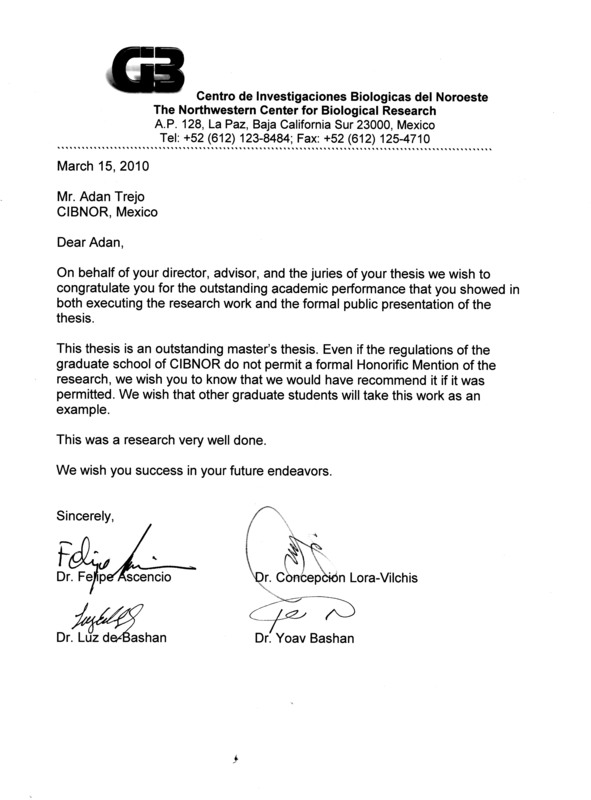 The fifth student to be partly supported by The Bashan Foundation, Adan Trejo, successfully defended his masters’ thesis at the Northwestern Center for Biological Research (CIBNOR) in La Paz, Mexico on 12 March 2010. 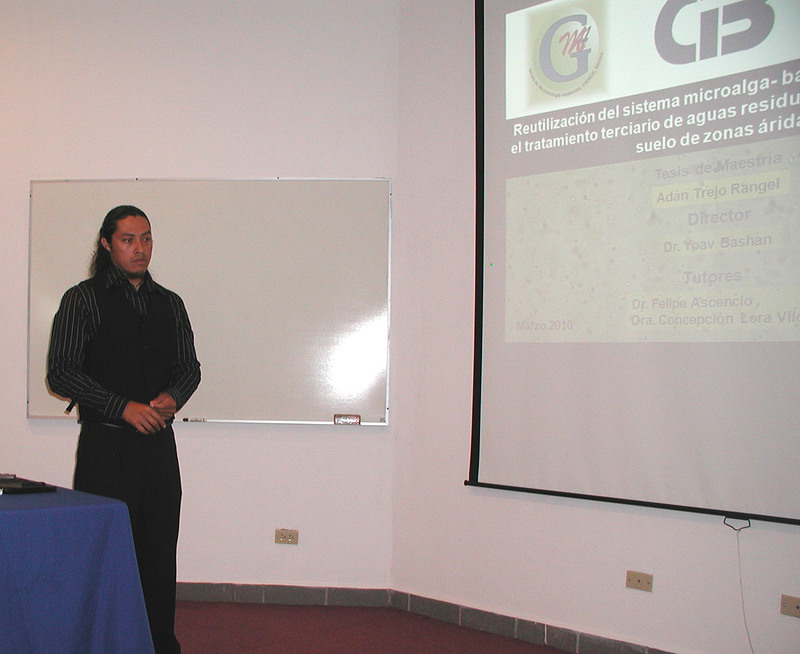 Adan, the son of a retired laborer in Mexico City, had his first thesis also at CIBNOR with the Environmental Microbiology Group. He is a highly resourceful student with outstanding capacity to find scholarships for research anywhere they are available. His thesis work concerned recycling of leftover material from wastewater treatment as an amendment to improve soil quality. Although the graduate school of CIBNOR does not offer honors, the committee was impressed by the quality of his work and assigned him “unofficial honors”. Adan is currently working as a research assistant at CIBNOR, completing a study he started as an undergraduate. He intends to continue higher studies in the near future. As is common, the presentation is followed by a long session of questions by the committee on whatever they wish to ask, but related to the study. Different views on the presentation by the public. 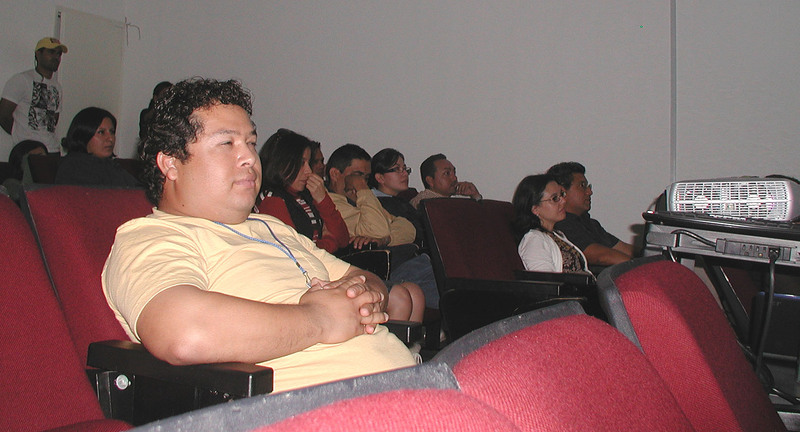 During the committee’s deliberation, all participants, including the candidate, wait outside the auditorium. Even if it is uncommon that anybody fails at this stage, there in some uncertainty in the air. Adan waits with his lab mates and the graduate students. The formal declaration of approval read by the president of the juries, Dr. Felipe Ascencio, accompanied by Dr. Yoav Bashan, the main advisor, and Dr. Concepcion Lara of the jury. It was approved with unofficial honorable mention by the committee. Adan is listening to the decision from the other side of the podium. A copy of the unofficial honors certificate given to Adan by the committee, supervisors of his studies, and Dr. Yoav Bashan. 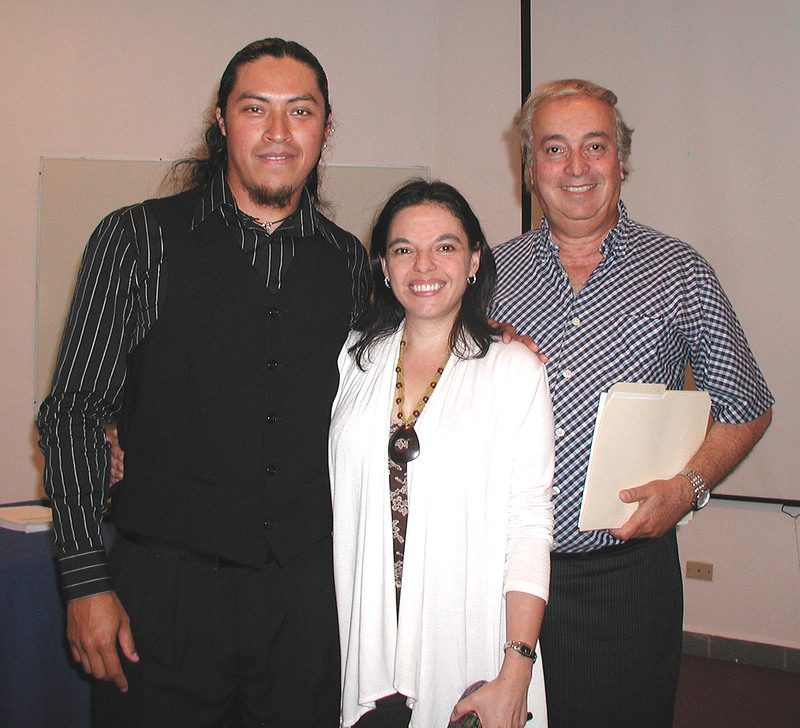 A minute later Adan is declared a new Master in Science with Dr. Felipe Ascencio, who presided over the exam and ceremony. Adan’s student friends seem very pleased with the final decision. 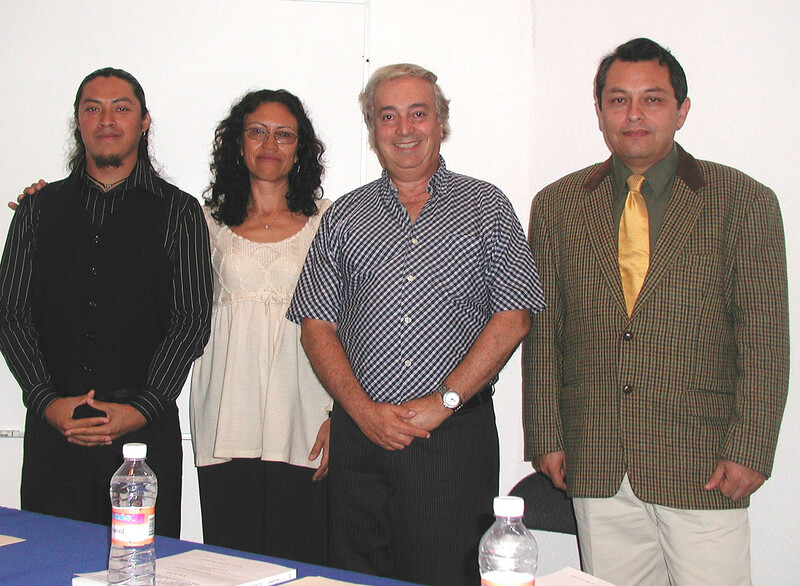 Adan with his thesis committee after graduation. 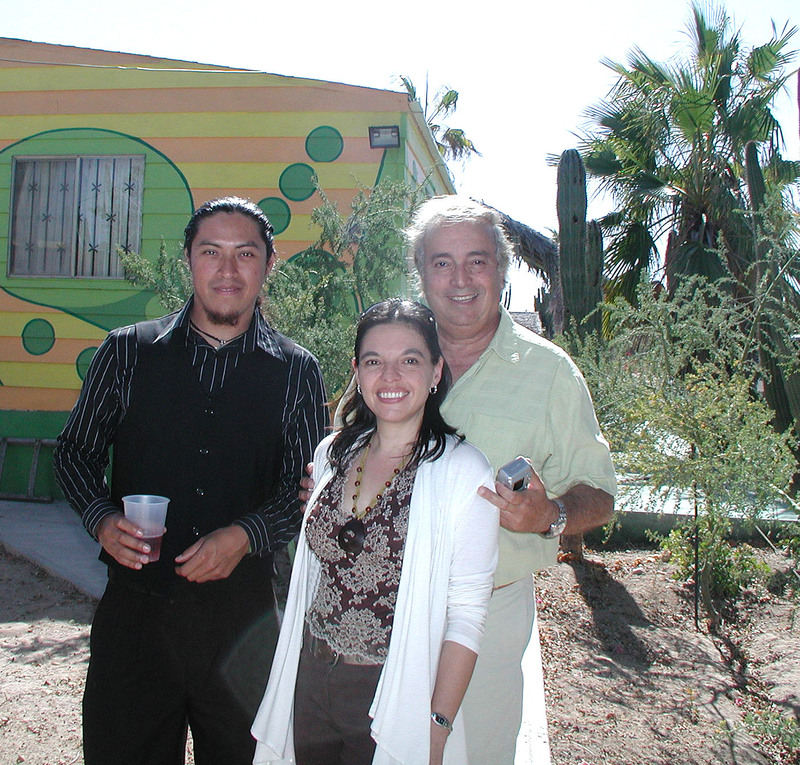 From the right: Dr. Felipe Ascencio, Dr. Yoav Bashan, and Dr. Concepcion Lara. Adan with his girlfriend Getzabeth Gonzalez who graduated a few months earlier from the same program. 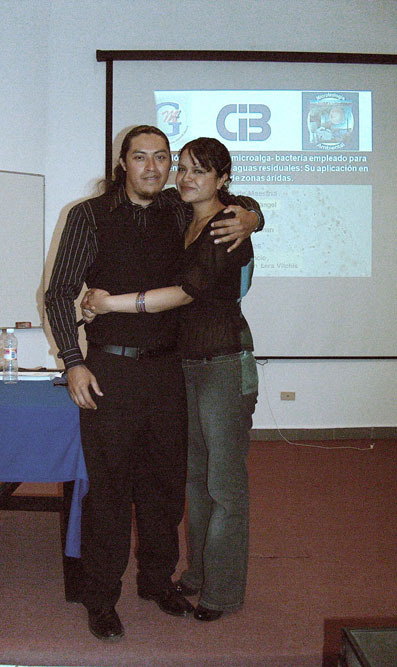 Adan id congratulated by Dr. Blanca Lopez who graduated from the Environmental Microbiology group a few months earlier. 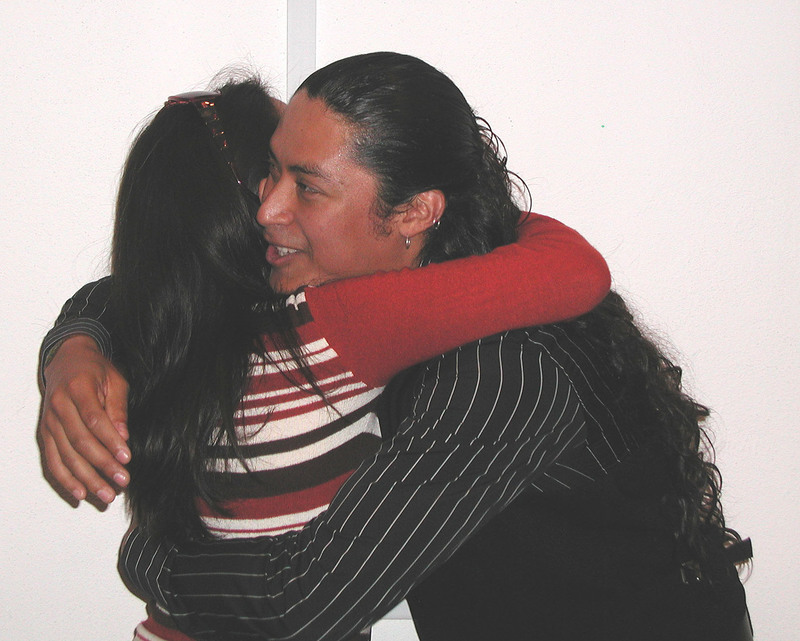 This is the only photo showing the big traditional Mexican hug, which all attending gave him. Adan with Drs. 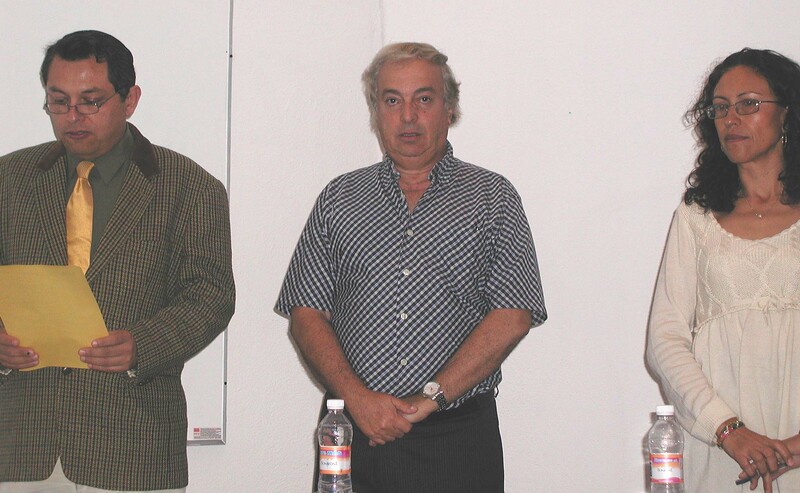 Luz and Yoav Bashan who “supervised” the thesis for 2.5 years. Luz served unofficially, for technical reasons related to the regulations of the local graduate school, as his main advisor. 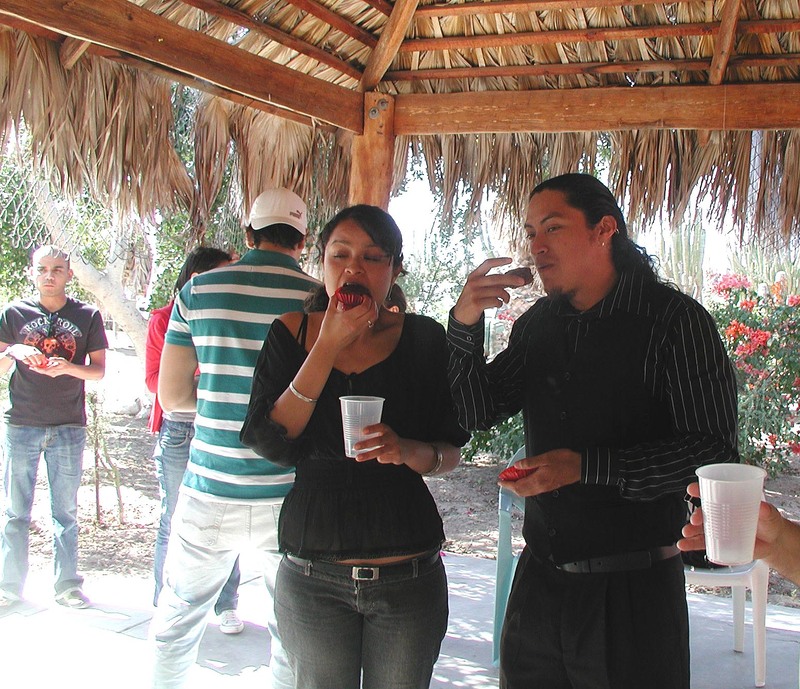 No graduation is completed without one or more parties. 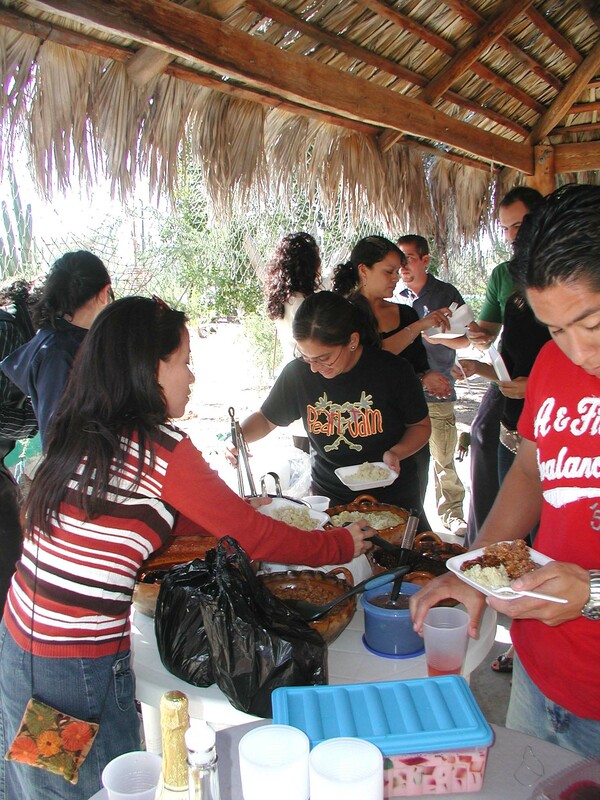 Adan’s initial party was organized by his friends in the garden of his advisors, where a lot of food is served and many photos were taken, a typical activity. The wilder party took place throughout the night at his home, but unfortunately, no photos are available.